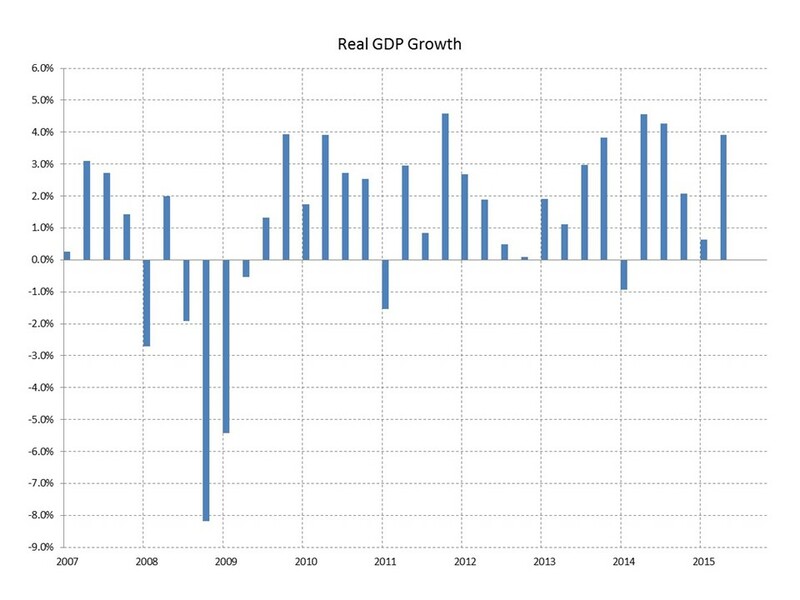 The Bureau of Economic Analysis (BEA) released its third estimate of real GDP growth for the second quarter of 2015, raising growth up 0.2 percentage points to 3.9%. The bulk of the additional growth was concentrated in personal consumption expenditures and business fixed investment. Growth was 0.6% in the first quarter. Overall, the composition of growth looks good; strength in personal consumption and fixed investment, both residential and business; less reliance on inventory investment, government spending and trade in a slowing global economy. We expect GDP growth to slow from the current pace in the second half of the year but remain strong and keep the recovery moving forward.